50 Surprising Recipes for Beer, Jam, Bread, and More! This revolutionary home appliance is taking home-cooking to a whole new level! Even in the most basic model, the Instant Pot is able to perform the abilities of five home gadgets—a pressure cooker, rice cooker, slow cooker, steamer, and warmer—in one device. It’s versatility makes the Instant Pot the perfect all-encompassing cooking tool for anyone’s kitchen. Easy-to-follow instructions make this book accessible to anyone—parents who works long hours, college students, young adults with limited space, beginner cooks, or professional chefs. Break out your Instant Pot and this book, and you’re sure to be inspired to create something awesome! 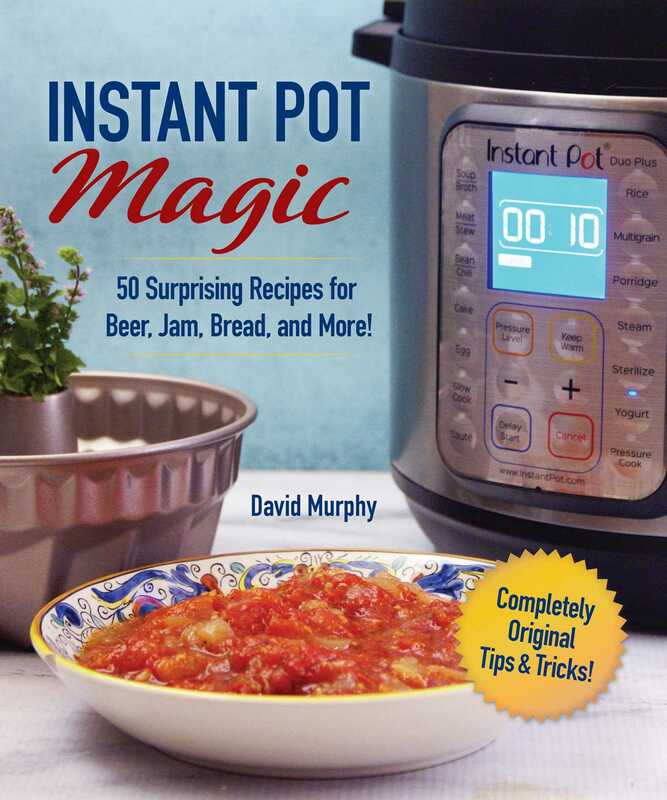 David Murphy is a chef and food blogger, who focuses primarily on the Instant Pot. His recipes have been featured on various media outlets, including Food & Wine, Delish, Munchies, Daily Mail, Buzzfeed, Jezebel, Today, and more.